A dramatic tunnel entrance featured fog screening, infinity mirrors and conveyor belts. 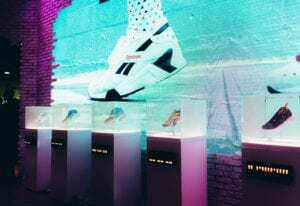 With its steal-worthy product drops out of a box truck built into the exhibit, bright a/v concepts, multisensory elements, retro colors and infusion of archival content, Reebok made a bold debut at ComplexCon, the annual event for sneakerheads and hypebeasts put on by media platform Complex, this year Nov. 3-4 in Long Beach, CA. And that’s not all. 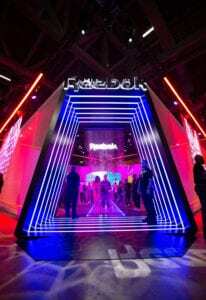 The 50×50 booth offered a dramatic tunnel entrance with fog screening, infinity mirrors, conveyor belts and Hypervsn (3D, holographic digital content), all to earn the attention of consumers in a brand-heavy show, to display product in a multisensory fashion and, of course, to drive social media shares—especially of new products launched. 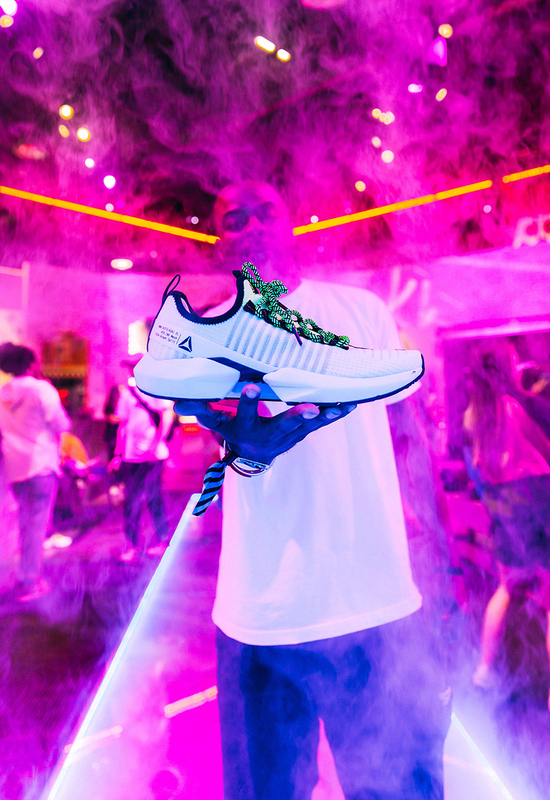 “We wanted to dive into ComplexCon not only because it’s considered the event for sneakerheads, but because it’s all things cultural—it’s music, it’s lifestyle, it’s our brand and what we represent and our consumer target base. 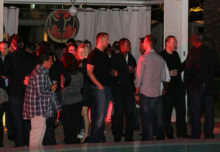 It’s bigger than just sneakers,” Colleen Cosgrove, director, head of global events at Reebok. 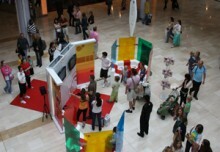 Storytelling and heritage were key elements of the design concept. 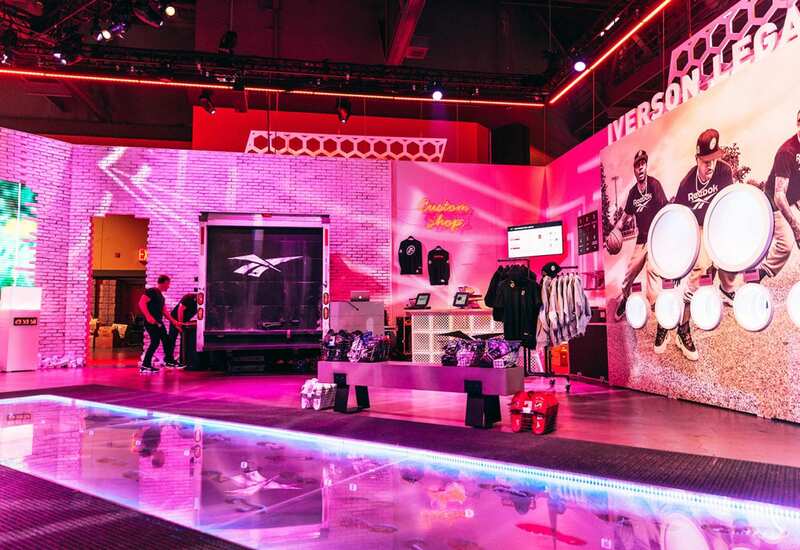 Reebok infused graphic elements and archival products in displays throughout the space. 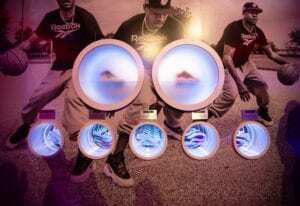 This included a Plexiglas walkway across the exhibit, which underneath revealed a “wet” concrete inlay of footprints of the shoes Reebok dropped at the event, Aztrek, Sole Fury and a Reebok X Allen Iverson collaboration. All are a nod to heritage footwear Reebok sold in the ’80s and ’90s. “Everything we did was built with intention and purpose, and built to tell a story that’s truly authentic to our history,” Cosgrove says. 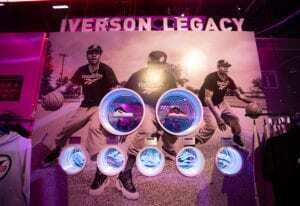 Reebok detailed the brand’s and former NBA athlete Allen Iverson’s design collaboration with an infinity mirror effect. The Aztrek sneaker line was contained in a display that mimicked the shape of an arcade game screen. Nearby, the Sole Fury sneaker engagement featured a conveyor belt and highlighted the performance “DNA” of the collection. 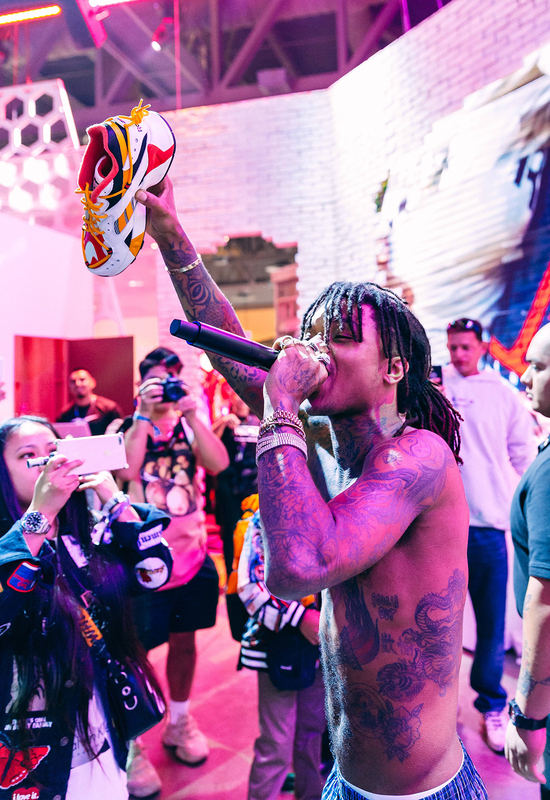 A customizable apparel station rounded out the experience along with additional celebrity appearances to amplify product reveals. And then there were the exclusive product drops—five of them over two days. Pedestals with privacy glass and countdown clocks heightened the anticipation and upped the drama factor. Lighting effects added to a “living, breathing environment that created a thunderstorm as we built up to the moment of dropping the shoe,” Cosgrove says. 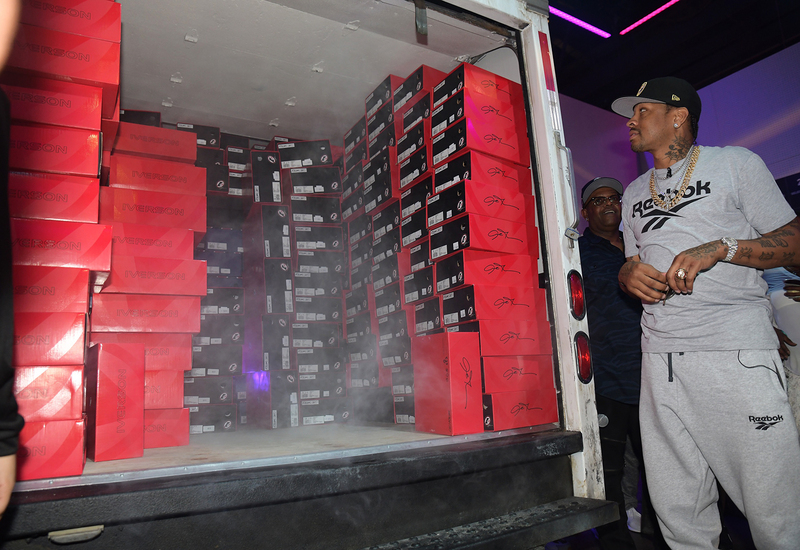 All eyes turned to the back of the gritty box truck that appeared to bust through the exhibit as the rear door lifted up, smoke billowed out and lights poured onto the shoes stacked inside. 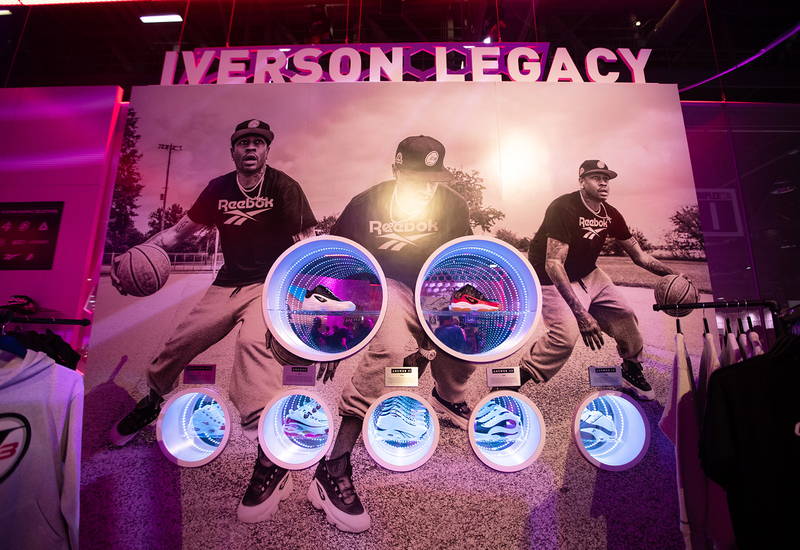 Iverson was on hand to distribute his sold-out product line for the drops and rapper Lil’ Baby performed. “It just created a neat lens for the consumer to be able to feel the anticipation and the cool factor of the shoe dropping,” Cosgrove says. 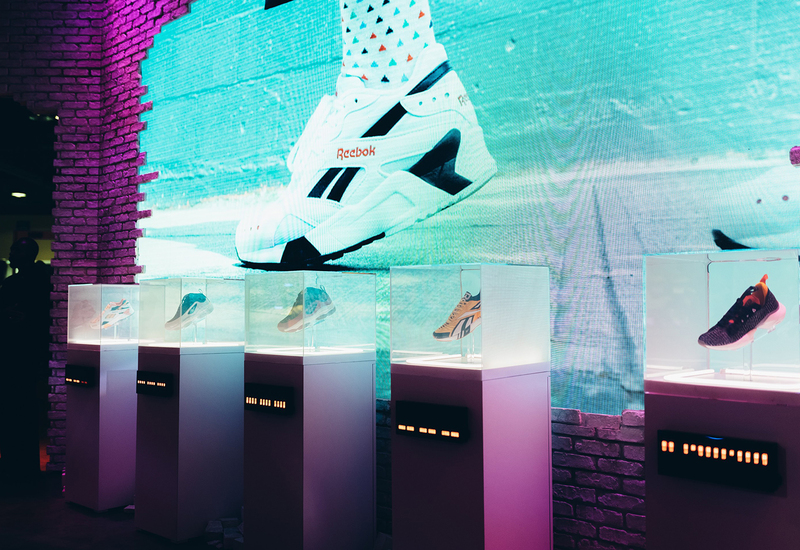 Reebok’s metrics plan includes looking at overall sales and analyzing foot traffic, leveraging beacon technology to determine how many visits were made and the hottest touchpoints within the exhibit, as well as social media impressions. “I remember watching people walking into the booth and we used a fog screen at the entrance, and every single person I saw walking into the space had their phone up and they were putting it on their Instagram Story—it was something they hadn’t seen before,” Cosgrove says. Agency: Jack Morton Worldwide, Boston.